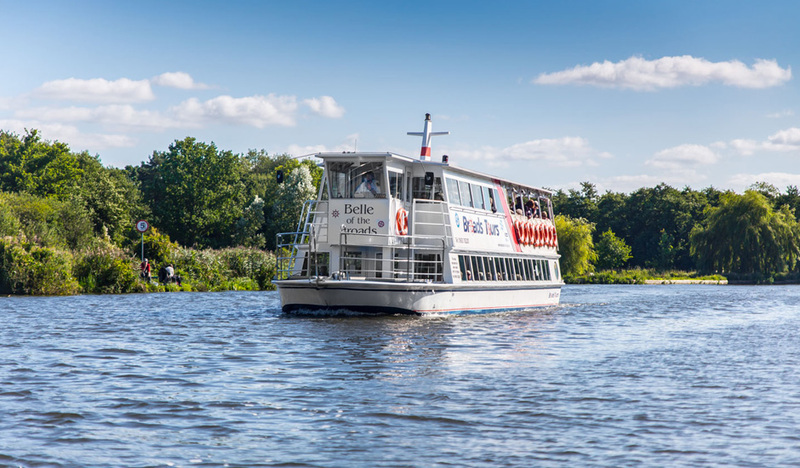 The Belle of the Broads was built here in Wroxham by our team of skilled boat builders and marine engineers in 2004. The upper deck has an enclosed forward saloon with upholstered forward facing bench style seats. The outside undercover area on the upper deck has bench style seating with upholstered cushions. The lower deck has upholstered forward facing seats. The bar is on the lower deck and there is one toilet on each deck. 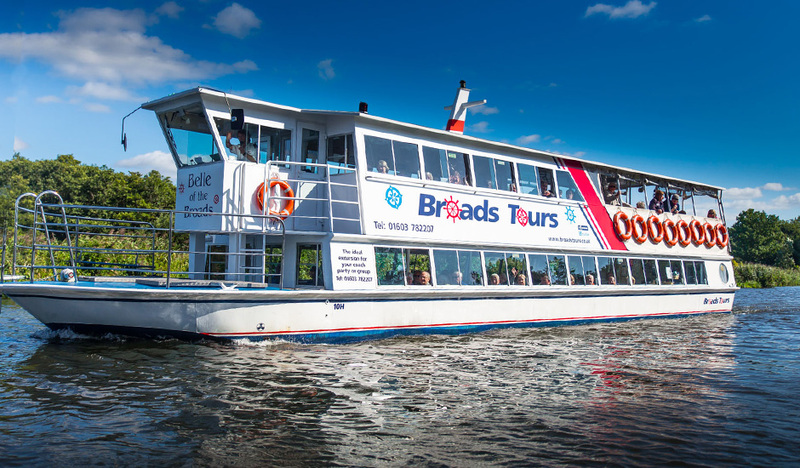 This boat provides great viewing for up to 100 passengers.